With the holidays coming, you know we can always use a dessert that's delicious but isn't full of fat and sugar. 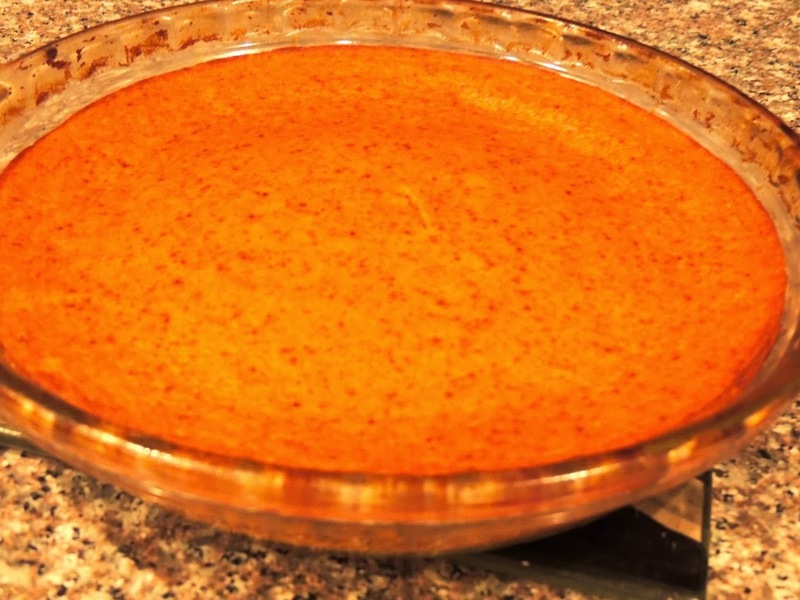 This Low-Cal take on Pumpkin Pie is the perfect solution. You definitely don't need to feel guilty about eating it, and I promise it's delicious. First of all, I've always loved pumpkin pie. The creamy texture and the flavor of the pumpkin combined with the spices taste like Fall to me. I've been making it since I was a kid; it was one of the first things my mom showed me how to make. We always used Libby's brand canned pumpkin, and we always just used the recipe off the back off the can. I remember kneeling on a dining room chair stirring the mixture together. That's another great thing about this pie...it's so easy to make. You don't even need a mixer. Many years later, I still use Libby's canned pumpkin, and I still follow the recipe on the back of the can...for the most part. With a few simple changes, I've adapted the recipe to drastically cut calories without sacrificing flavor or the creamy texture. 1. Use Splenda instead of sugar. It'll taste just as good, but it'll reduce the total number of calories in the pie by 540 calories! 2. Don't use a crust. 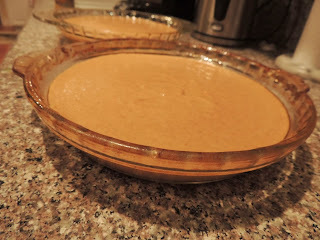 The great thing about pumpkin pie is that as it bakes, it solidifies and conforms to the shape of the pan. Unlike fruit pies like apple or cherry, you do not need a crust in order to slice and serve the pie. Sure, crust tastes good, but depending on the recipe (or store bought version) you use, you'll save about 800-1000 calories by skipping the crust! 3. 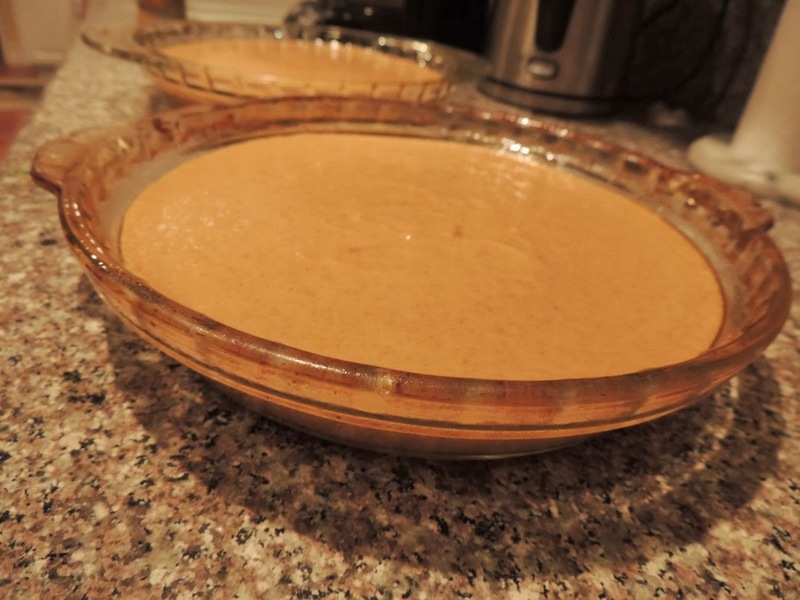 For the evaporated milk, use the 2% version. You really don't save many calories by using Fat Free of 1%, and you don't want to sacrifice the creamy flavor. With these changes, your entire pie (not just one piece) will only have 580 calories! If you cut it in 8 pieces, that's only 72.5 calories per piece! 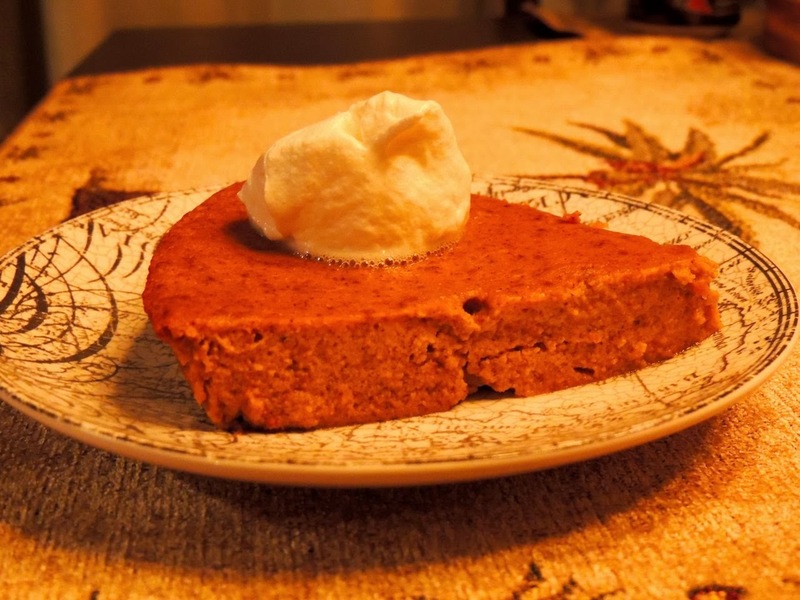 If you like, when serving, you can top each piece of pie with a dollop of whipped cream. To me, pumpkin pie isn't pumpkin pie without whipped cream! I use Fat Free Cool Whip, which only has 15 calories per tablespoon. This pie is a Fall staple in my house. I even eat it for breakfast. When my mother-in-law was visiting awhile back, she mentioned that pumpkin pie was her favorite breakfast food, so I whipped up a couple of these pies. This pie is definitely easy enough for everyday, but it's also delicious enough for all of your holiday festivities. I suggest serving it at your Halloween party, for dessert on Thanksgiving, or at your Christmas celebration. After all, December 25th isn't just Christmas; it's also National Pumpkin Pie Day!